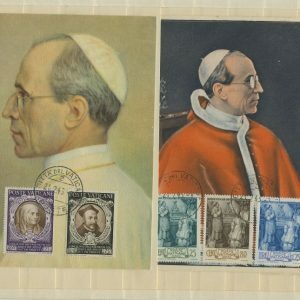 Recently, a stamp collector, Christopher Brunner, generously donated his very large collection of Vatican stamps to Father Kunst’s Papal Artifacts’ Collection. 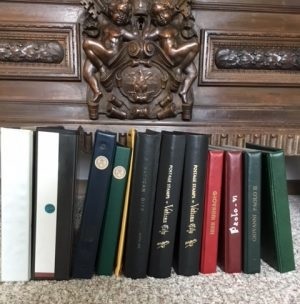 An inestimable amount of work went into his collection. 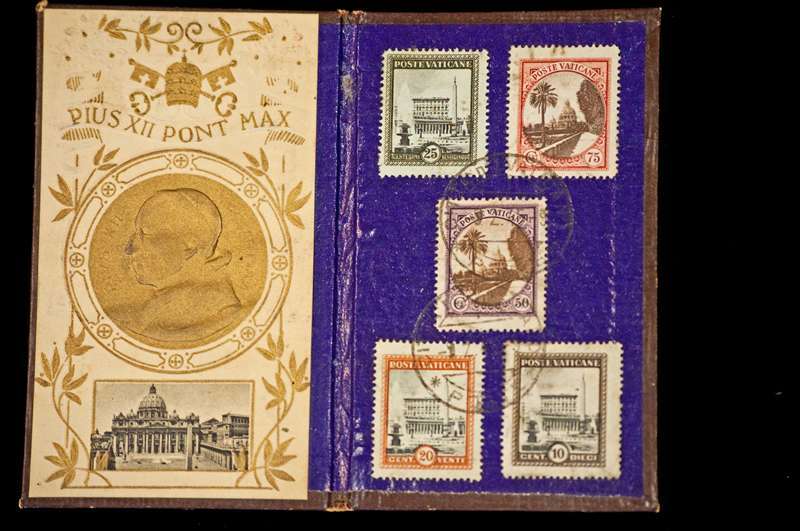 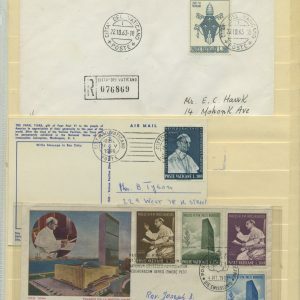 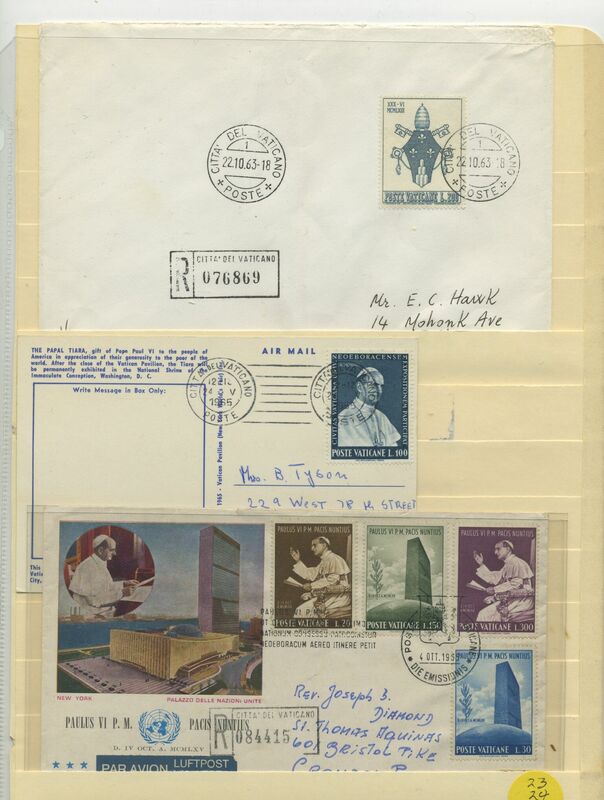 Included are highly documented and cataloged stamps from the last 150 years. 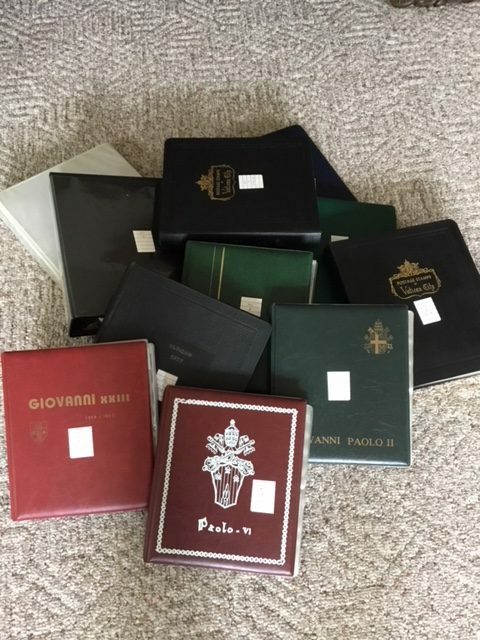 Below are pictured just a few of this incredible gift. 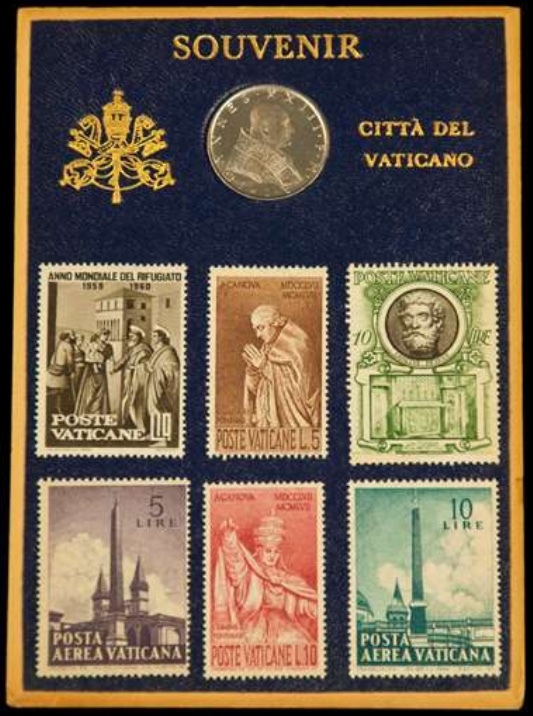 We will be showing them from all time periods throughout the year. 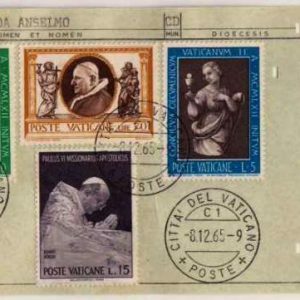 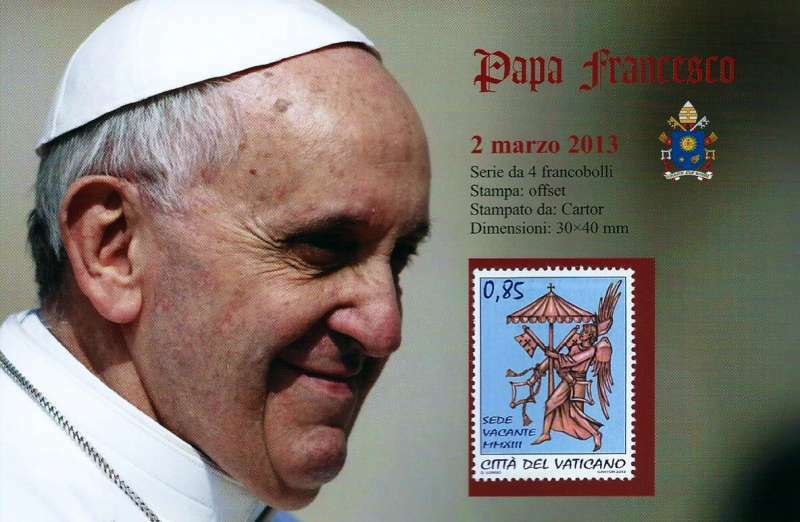 The president of the Vatican Philatelic Society talks about his collection of Vatican stamps and postal history and what some of those items say about the last three popes. 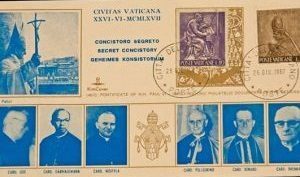 The December 1942 note from Santo Fassano, who was being held in an internee camp in Missoula, Montana, to his wife, Carmela, took nine months to arrive in the small town of Faro Superiore on the northeast tip of Sicily. 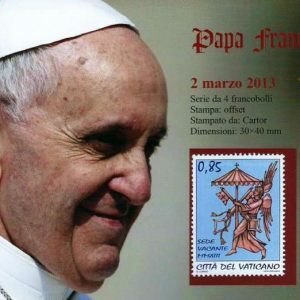 Had it not been for the Holy See Secretary of State’s Information Office, there may not have been any correspondence between Fassano and his family at all. 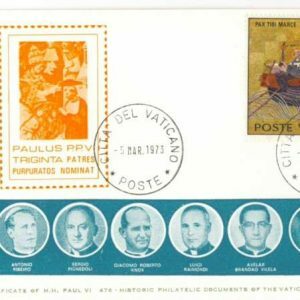 When Greg Pirozzi of Hanover, Maryland, acquired the brief correspondence written on a Vatican form 25 years ago, it set him on a philatelic journey that continues to this day. 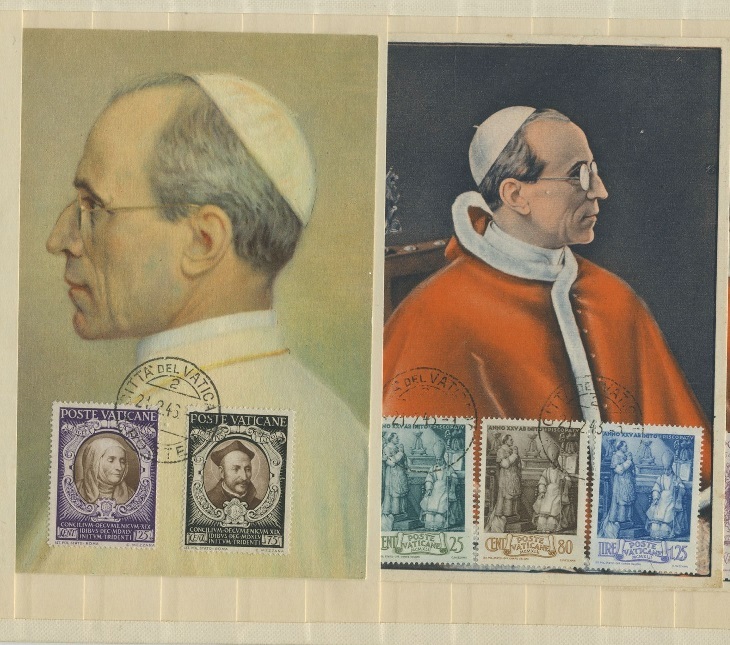 Pirozzi, president of the Vatican Philatelic Society, has since studied the behind-the-scenes work carried out in part through the mails by Vatican diplomats to help families track down the whereabouts of their military sons during years of war and world upheaval. 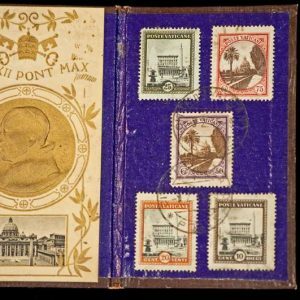 It’s the simple stories of everyday life, deep worries and joyful moments such correspondence reveals that Pirozzi says makes his ongoing studies satisfying. 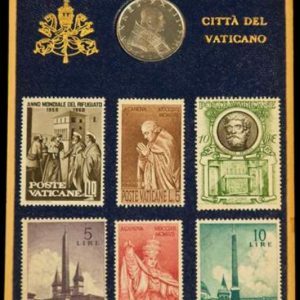 ‘You’re holding in your hand a personal piece of information,’ said Pirozzi, 53, who leads the worldwide group of about 300 who collect and study the postage stamps and postal history of the Vatican City State and its predecessor, the Papal States. 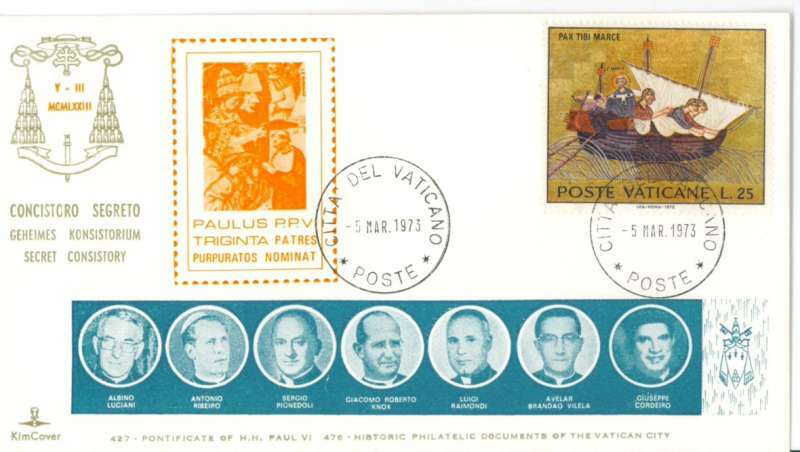 Pirozzi especially prizes the Fassano document because it reveals a little about the story of one family. 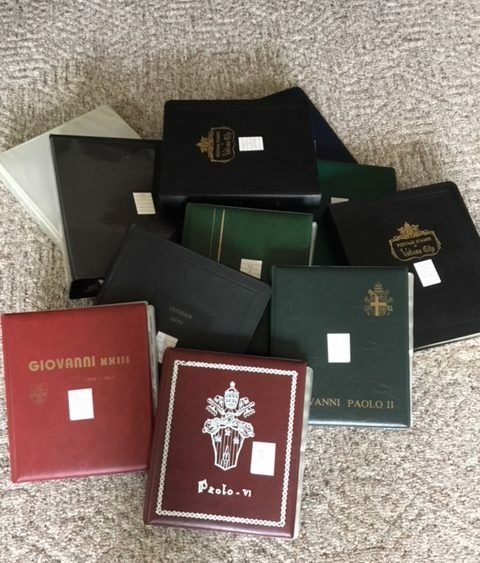 He has collected others as well.